The House and Senate have approved a compromise on voter ID legislation, sending it to Gov. Greg Abbott's desk. 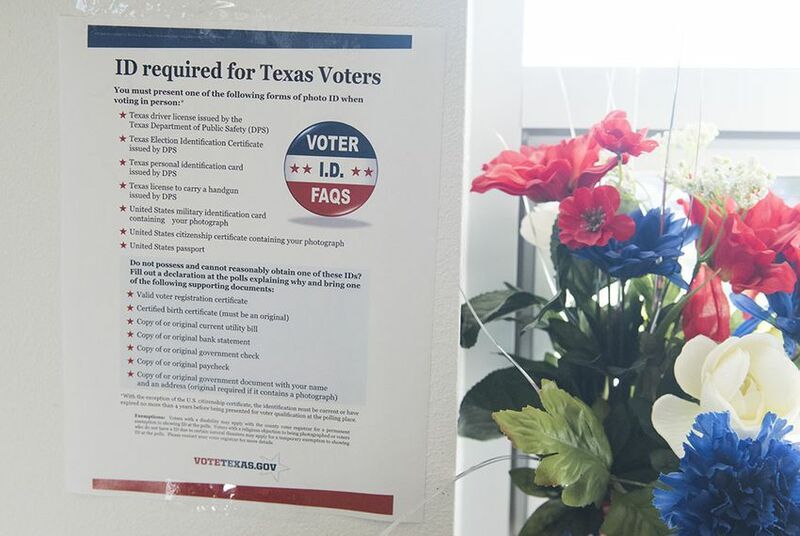 The Texas House and Senate have approved a deal to relax the state’s voter identification requirements, meaning the closely watched legislation now only awaits Gov. Greg Abbott's approval. Last year, the U.S. 5th Circuit Court of Appeals ruled Texas lawmakers discriminated against minority voters by enacting the 2011 law. U.S. District Judge Nelva Gonzales Ramos went further in April, ruling the state discriminated on purpose. That raised the possibility she could invoke a section of the Voting Rights Act to place Texas under federal oversight of its election laws — a process called preclearance. The state’s lawyers want to point to SB 5 next month when they return to Ramos’ Corpus Christi court for a hearing on how to remedy the voting violations. Republican leaders hope she will accept the new law and refrain from putting Texas under preclearance. Among other changes, the legislation would add options for voters who say they cannot “reasonably” obtain one of seven forms of required ID, and it would create criminal penalties for those who falsely claim they need to choose from the expanded list of options. Democrats say SB 5 won’t go far enough to expand ballot access — or to keep Texas from federal oversight — and contains provisions that might discourage some Texans from going to the polls. Ramos temporarily softened the ID rules for the 2016 elections, and Huffman’s legislation somewhat follows its lead. It would allow people without photo ID to vote if they presented alternate forms of ID and signed affidavits swearing a “reasonable impediment” kept them from obtaining what was otherwise required. Those voters could present documents such as utility bills, bank statements or paychecks. Those found to have lied about not possessing photo ID could be charged state jail felony, which carries a penalty of 180 days to two years in jail. That was a compromise between the House, which originally sought to make the crime a Class A misdemeanor, and the Senate, which pushed to make it a third-degree felony. Under the final bill, Texans who own qualifying photo ID must still present it at the polls. Those include: a state driver's license or ID card, a concealed handgun license, a U.S. passport, a military ID card, a U.S citizenship certificate or an election identification certificate. Such IDs may be expired up to four years, thanks to a provision in the House bill that survived the compromise. Voters 70 years and older may use such IDs expired for any length of time. The bill’s approval capped Republicans’ furious push to rescue it after having long sat untouched in the House. The maneuvering included a rare last-minute emergency declaration last week from Abbott. The governor and other Republicans have long argued the 2011 requirements were needed to prevent voter fraud, but opponents — backed by the court rulings — have cited the paucity of proven in-person voter fraud and suggested lawmakers instead sought to keep minorities from going to the polls. Democrats argued last week that SB 5 — even the somewhat less strict version passed by the House — would not pass legal muster. They wanted Texas to scrap all vestiges of the 2011 law.